There is a very primal and brutal appeal to German death thrash. I'm not sure if it's the culture, the accent, or what, but something about speedy German death metal bands has always appealed to me. The riffs on the bands new record, Part of the Process, are wonderfully chunky and have all sorts of tasty little frills allowing them to rise up, stronger than ever before. My one complaint though is that the production is a little off, the drums need to be remixed before this band manages to really take off. Nevertheless, Part of the Process is a very solid recording for a DIY effort. 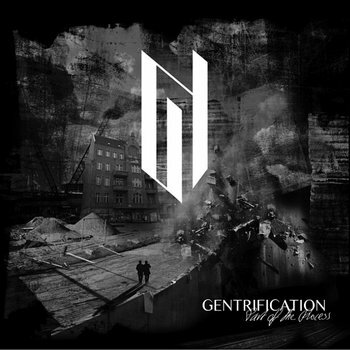 Regardless of anything else, Gentrification have a pretty distinct sound, sure they latch on to a lot of tropes of modern death metal bands, but the squirrely riffs and the very clear thrash metal touch to tech death parts makes Gentrification really interesting to listen too. Toss in some unholy growls and you have yourself a record that grooves, pounds, and then rips your skull out, if nothing else, this is true heavy metal redemption.